Here is Sagarin ratings. 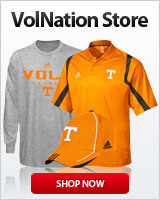 It predicts a win by TN over TAMU by about 12. This one has Tennessee winning by about 13. TN will lose to Kentucky away and win out the rest. If they want any credibility they have to dominate. Staying healthy is critical, other than that we just need our shots to keep falling. Enjoying the success. I'm not going to worry about it. If we split with UK I think that is a success. Why is everyone just calling the game at Kentucky a L ? They are preparing for the worst. As if it will make them less sad if we were to lose. Or just playing the odds. Statistics say winning out is a long shot. I say, just keep draining those 3s. Sorry fellas, you will be real sad after any loss no matter how you try to prepare. If we go cold for too long a loss could happen, I expect GW would take it to the paint and grind out the win similar to the Vandy game. I will be disappointed after any loss, simply because I know this team has the talent, depth and experience to beat anyone on any court. However, I am ok with a loss at Kentucky, at LSU or both, because I know it doesn’t mean we are out of the NCAA tournament hunt. It just means we lost to very good teams on the road. In basketball...that’s not a big deal. Winning those games is a big deal (like when we won at Rupp last year) and just indicates that this team is exactly who we think they are....the best team in the nation. I think most give us an ‘L’ @ Rupp because it’s just too darn greedy to roll in there and get our 20somethingest win in a row against big blue. This team is still improving and almost ‘tinkering’ with lineups now. Like Barnes is looking for 1 or 2 more small teeny pieces that can fit into this puzzle w/o mucking it up. I think he’d like one more outside threat but 1)Pons can’t shoot 2)John won’t pull the trigger so Jaylen is getting a look and meanwhile creating more depth and competition near the bottom. Tennessee will be the underdog in any game that play against any of the blue blood schools, including Kentucky. But it's not the dog in the fight, but the fight in the dog. Our Vols have plenty of fight. UK has their work cut out for them, they play South Carolina at Rupp then MSU on the road and LSU at home. They could lose 1, 2 or all 3 of those games. I fully expect them to have at least 2 SEC losses when they meet UT at Rupp, making it a do or die game for them. Here are two season predictions for Tennessee basketball through the end of the season. Realtime has UT losing to KY at Rupp and at LSU. Both predict 2 more losses and a final record of 27-3 and 16-2 in conference. I would be interested to see how well the predictions of these two hold up. Cause it’s impossible to take down the mighty Kats at Rupp...we haven’t done it in 11 months! One prediction is (Warren Nolan) 77-76 Kentucky. The other is 86-83, Kentucky (Realtimerpi). In effect these are toss-up games with the expected margin of loss being between 1 and 3 points. I predict that we sweep Ky, possibly lose to one of the MS teams or Florida and beat LSU. If Auburn game means anything then I think we win. That #1 overall seed is on the line and I think we could have a 2 game lead over everyone but Gonzaga when we roll into Auburn. Florida and Ky are the only 2 teams left that can slow us down defensively, LSU Auburn and Ky only teams capable of scoring 80+ against the Vol D.
LSU should've lost to Mizzou and did lose to an average Arkansas squad. I wouldn't be swayed by any forecast that has us losing to the Tigers. Because it’s AT Kentucky and they’re good. I think it will be a close game, however. Willie Wade is not a very good coach. Coach Barnes is a much better floor general than LSU's Wade. Yeah for sure. They're not a team that can win the NC, in my opinion. However, I think they're a good team capable of beating us especially at their place. It will be a good test on the road, and could help with seeding if we happen to drop a couple. Go Vols! The predicted spread for the Mizzou game was 22 /23, the actual spread was 12. I have also tried to attach a tracking sheet to compare predicted results vs. actual.